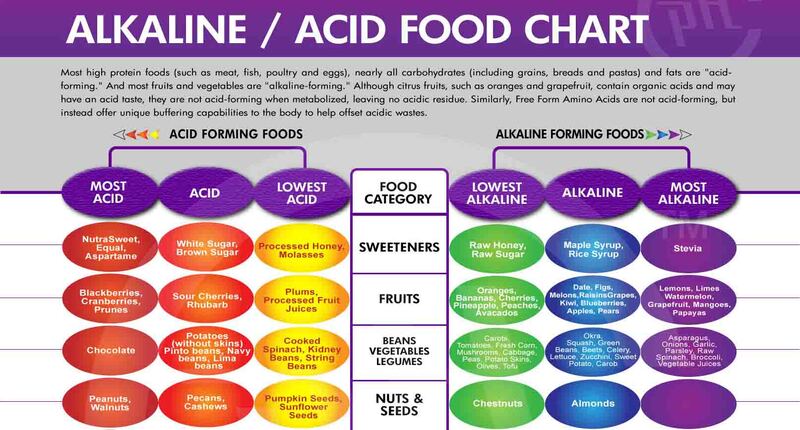 We Humans are Alkaline organisms in the food chain. Our pH level can easily turn acidic if we do not pay attention to what we eat. When a person ingests foods to burn for fuel, the digestive & metabolic process transforms it into a kind ash which is either acidic or alkaline. The law of modern biochemistry further explains that it is not the organic matter of foods ( the food itself is acidic or alkaline ) , but their inorganic matter like calcium, magnesium, potassium, sodium, sulfur, phosphorous, that is how they break down in our bodies, that determines either the acidity or alkalinity of this ashy residue. Our blood being non- alkaline liquid , our body will poorly perform & will have difficulty in resistance power leading to auto-immune medical conditions. LEMONS: Has a pH level of 9.0, though acidic in nature, LEMONS are the most alkalizing food. Lemons are natural anticeptic, healing property. It is the best liver tonic because of its peel, that detoxifies & energizes the liver.Its electrolytic properties are the most potent & most immediate relief for cold, cough, flu, hyper acidity, & other virus related ailments.It is the best liver tonic that detoxifies & energizes the liver. WATERMELON: Has pH level 9.0. Rich in water content at 92 % & high fiber count, it is a mild diuretic. It is a great source of Lycopen, Beta- carotene & Vitamin-C. It is a good colon-cleanser. AGAR-AGAR ( ORGANIC -GELATIN ): Has a pH level of 8.5 . It is a gelatin substitute made from seaweeds that is high in Iron & Calcium . Rich in Fiber , thus very digestible. CAPSICUM & CANTALOUPE: Has a pH level of 8.5. Capsicum has antibacterial properties & also rich in Vitamin-A- an essential anti-oxidant. Cantaloupe, a relative of melon, is very low in sugar but high in fiber. Both are high in enzymes needed by the endocrine system as well. LIMES, MANGO, MELONS, PAPAYA & PARSLEY: Has a pH level of 8.5. They are the best at cleansing the kidney. Papaya is the healthiest laxative that promotes defecation & colon cleaning. Parsley is the best intestine sweeper when taken raw & also a diuretic . Mangoes, limes, & melons are Vitamin-rich foods that are alkaline- forming during digestion. WATERCRESS, SEAWEEDS & ASPARAGUS: Has a pH level of 8.5. These are powerful acid reducer. Watercress is the very first leafy vegetable consumed by human beings. It is best eaten raw & rich in Iron & Calcium. Seaweed also fall in the same catagory. Asparagus is high in Asparagine, an amino acid important for nervous system. CHICOY, KIWIFRUIT THAN FRENCH FRIES: Has a pH level of 8.5. Rich in flavonoids. Kiwi has higher Vitamin-C than oranges. Chicoy, a bitter tasting close relative of the lettuce, also has insulin that supports the pancrease & aids the body in preventing diabetes. RIPE BANANA, BERRIES, CARROTS, CELERY, AVOCADOS, DATES, & GARLIC: Have a pH of 8.0, so they chemically react to acidic foods of pH 5.0 & raise them near the alkaline levels. SWEET APPLES, ALFALFA SPROUTS & APRICOTS: Have pH value of 8.0 Also maintain the body hormonal balance, since high in enzyme.